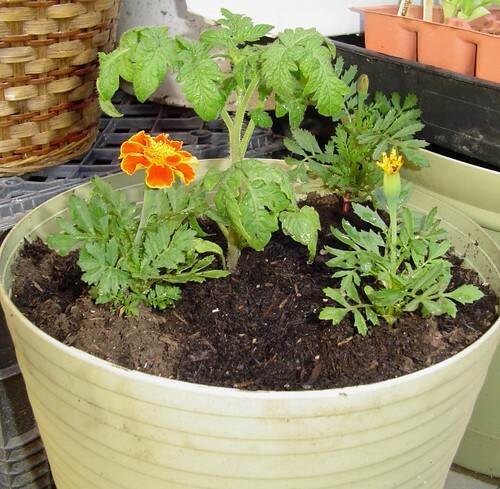 I also transplanted one of my patio tomatoes into one of my self-watering containers and one of my supersweet 100s tomato in a 5-gallon bucket. I also rearranged my white garden shelves to the other side of the patio. Before, the shelves were in direct sunlight during the day and hogging up the sun from my containers so I simply moved them and now I extended my garden by 4 feet! In its place, I put the self-watering pots and tomatoes in its place. Now, the tomatoes will have 6-8 hours of sunlight instead of 3-4 hours when it was next to the fence. I decided to move it today because there’s a chance of rain tomorrow and Tuesday. It’s amazing how over a span of one year, your garden can be transformed from a barren canvas to a live and yieldy garden. Last year was my first true attempt at gardening and I haphazardly placed plants in empty spots due to my lack of gardening knowledge. 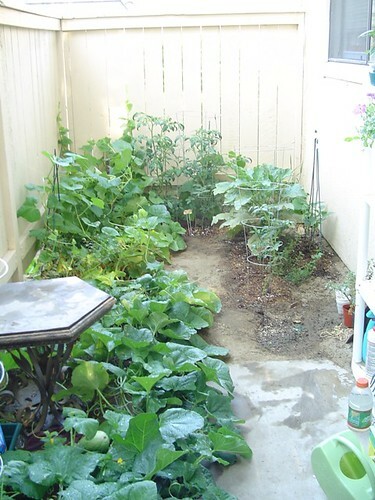 For example, I wanted honeydew melons so I thought I could grow it in my little 6′ x 7′ garden. However, I didn’t know that melons required a lot of space and by the end of summer, it had not only taken over half of my garden but also half of my concrete patio! This year, I’m more organized and have a new approach to gardening called “Square Foot Gardening” and it’s the best. I can grow so much more in such a little amount of space! It’s just wonderful! Right now, I’m growing an assortment of onions, lettuce, swiss chard, radishes, and turnips, all in one half of my garden. Compared that to the honeydew melon plants that took up half of my garden and only yielded me with 2 melons! Yes, you got it right, 2 melons! This spring and summer, I’ll be growing tomatoes (4-5 different kinds that include patio, supersweet 100s, marglobe, roma, and jelly bean), peppers (bell, peruvian, kung pao, and jalapeno), squash, cucumbers, onions, garlic, peas, cilantro, and so much more! I have peas along the fence (Oregon Giant, Dwarf Grew and another one), strawberries (Sequioa), geraniums are in pots on the shelves (I propagated this from stem cuttings last winter and they’ve grown like weeds! 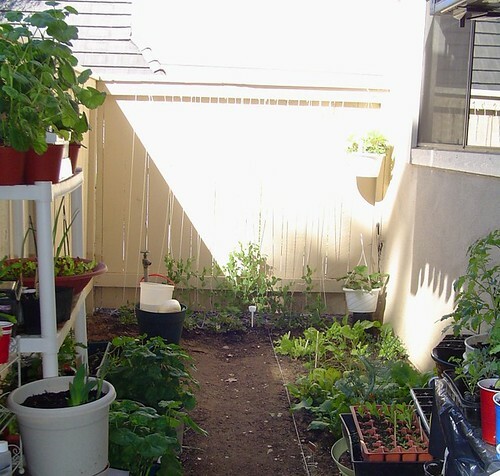 ), there are also some seeds I started here in the salmon-colored flats (mostly flower seeds), and you can see my tomatoes on the table. I also planted some cucumbers and squash this morning. I planted Straight 8 cucumbers, Marketmore cucumbers, and a bush type cucumber. For squash, I planted early prolific straightneck. Hopefully, we will get a lot of squash and cucumbers this year.